Just nearby Salted Caramel, you'd be able to find Wafflelicious! Wafflelicious sells waffles that have fillings such as blueberry, chocolates and banana. So it's more like a flavoured waffle then the usual buttermilk plain ones. You can also mix and match the toppings to whatever you like, or you could choose from their menu if you can't decide what's good. I decided to match my own waffle because whatever that was on the menu didn't entice me. I took blueberry waffle with marshmallow and a scoop of nutella goodness! While my companions had theirs off the menu. Banana Oreo and Chocolate waffle. The waffles were good, though not really big portion. The only bad thing is that we kinda stinked badly when we left the place because of its open kitchen. Took a ride to the west and found myself at Necessary provision. A bunch of us were just looking for somewhere to chill out and it brought us here. Sipping away on some ice coffee, eating some cakes and watch the world go by. I reckon there's about 35 to 40 seats in the cafe. Good for small groups like 6 of us. They don't take reservations so we had to wait up about 5-10 minutes for a seat. Crispy on the outside and yummy softness in the inside. You're suppose to pour the milk in. Wait for the ice cube to melt, and enjoy! Good coffee, good cakes and another thing that I like? Nett prices. In about a weeks' time I'd be making my way to Hong Kong! I've been deprived of travels and finally I've decided to just book a ticket and fly away! This trip is just with another girlfriend of mine, just the 2 of us. We have both been to Hong Kong before (though my first trip was some time back in 2010 and I didn't really visited alot of places) so we're skipping some tourist attractions. If you're travelling to Hong Kong for the first time, you might want to check out all their tourist attractions like The Peak Tram, Ngong Ping 360 Cable Car, Outlet at City Gate, Disneyland, Ocean Park and so on. I'm totally skipping everything on the list except Ocean Park. I've not been there before so between Disneyland and Ocean Park, I decided to drop Disneyland because I've heard so much about it being not worth going. So I'm keeping my Disney experience at another country. We had a hard time trying to get the best air ticket prices and eventually we settled on Cathay Pacific. It's definitely not the cheapest around but it was acceptable for us. We wanted to keep our flight and accommodation within $500 and we managed to! I was searching from Zuji, Scoot, Jetstar and Cathay Pacific via their websites directly for the cheapest flight tickets. I even explored the option of Groupons and deals but they were either over my budget or the travelling period was blocked. I randomly chanced upon UOB Travel when I got my monthly statement for my debit card and went to check it out. I've never heard of it until I saw the brochures. The website was relatively easy to navigate and I started searching for my flight. It took me a couple of days of checking and suddenly the prices dipped. 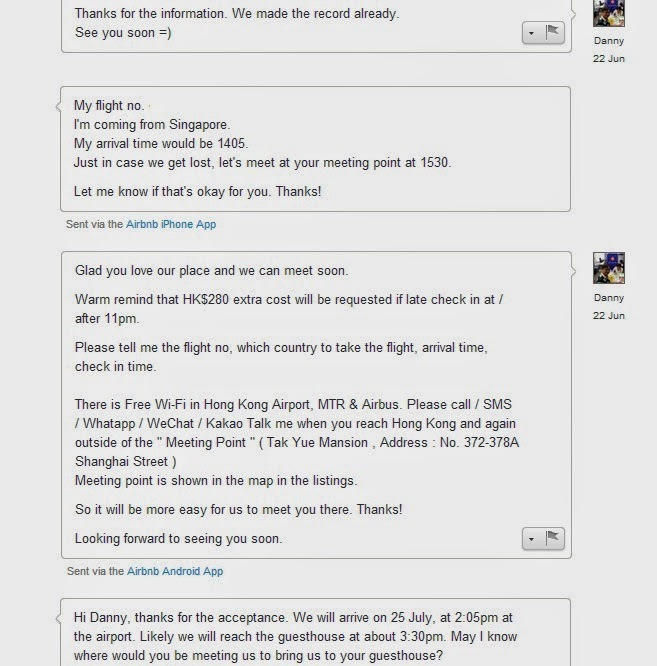 When I saw that the air tickets were $368, I quickly went back to Cathay Pacific direct web to check if they had any on-going promotion. There wasn't any and the prices where still about $500 plus. So I decided to wait no more and went ahead with booking with UOB Travel. I took some screen shots below. UOB would then send you several emails and your e-itinerary via the email you stated. Then that's all done, you're ready for your trip! Keeping out budget $500 in check, we had only about $132 each for our hotel. Of course it's almost impossible to get a decent hotel at that price for 5 days. So we went ahead with exploring our options with Airbnb! I've tried Airbnb for my trip to Korea and it was an awesome experience. The only bad thing is that you don't have breakfast and room service. Other then that, it's really good. I stayed in Korea for 10 days without any room service nor breakfast but it was totally fine. Besides you get to eat out every morning! Hong Kong has so much delicious food to eat, it's a plus point if you ask me. I seek advices from friends about Hong Kong (since my person first experience was pretty bad) I don't really know the routes and places in Hong Kong well. You can actually say that I'm travelling there for the first time. The last time I went in 2010, it was a family trip and I basically didn't get to wander off myself. 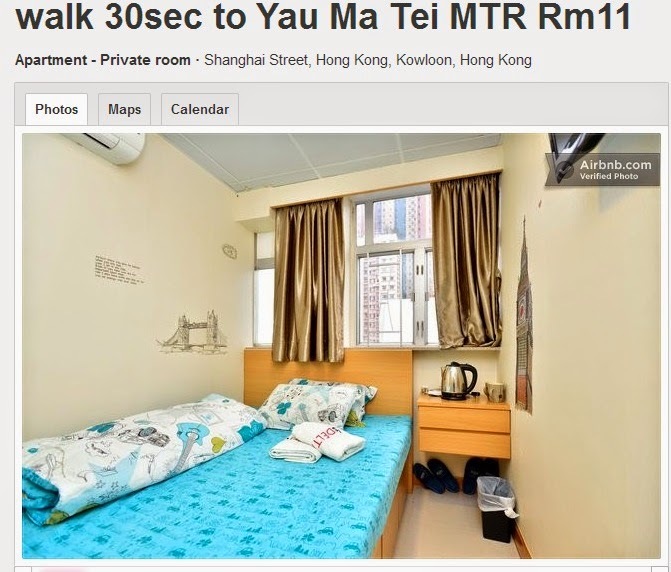 After much consideration between staying in Mongkok or Yau Ma Tei, we picked Yau Ma Tei. Yes, I know it looks freaking small. But Hong Kong houses are pretty small in general. (I visited my relative's place in 2010, and man it's really small but I guess because their houses are crazily expensive). I'd share with you my experience when I come back. Maybe I'd take a video of the entire place to share. Then you can decide if you want to book this place. There was a DBS discount that time when I booked Airbnb so I had SGD51 off my entire bill. There's a Security Deposit you have to pay but after you've checked out they will return it back to you. So basically, we paid $254 for the guest house. Which means each of us only have to pay $127! Happy me managed to keep our budget of SGD500 checked! Several emails will be sent to you again for confirmation. 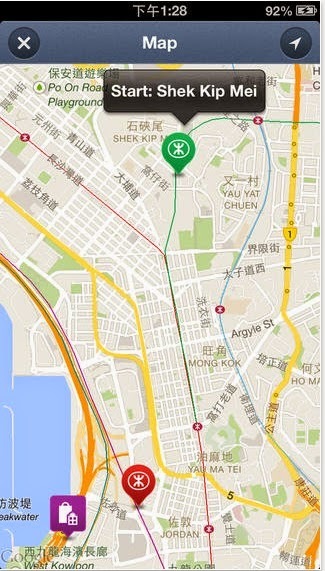 From the mobile app from Airbnb you can communicate with the guest house owner and let him know where to meet and etc. So below is a screenshot of our conversation. So there, you're done with your accommodation too! Since I've not experienced my itinerary personally, I'm just gonna give a vague itinerary schedule. The detailed one with all my comments and opinions will be posted when I get back from my trip! I can't wait to share my adventure when I come back! We're intending to just crash a random pub, so.. we're just gonna explore for one when we get there. I might change the itinerary though. When I'm back, I'd share if what I initially planned was workable. 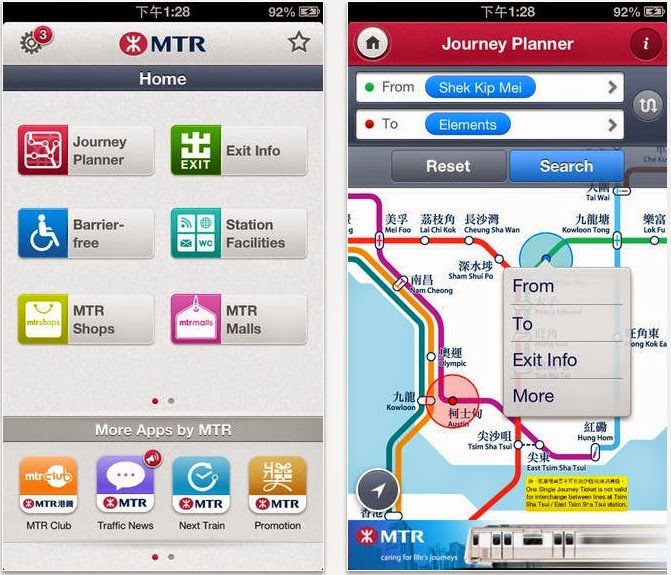 Something to share while I was planning for my trip to Hong Kong, I downloaded this MTR Mobile application on my phone. This application is free and comes with really alot of information. From the journey needed, the stations and also what shops are there in those shops. It's really useful if you ask me. 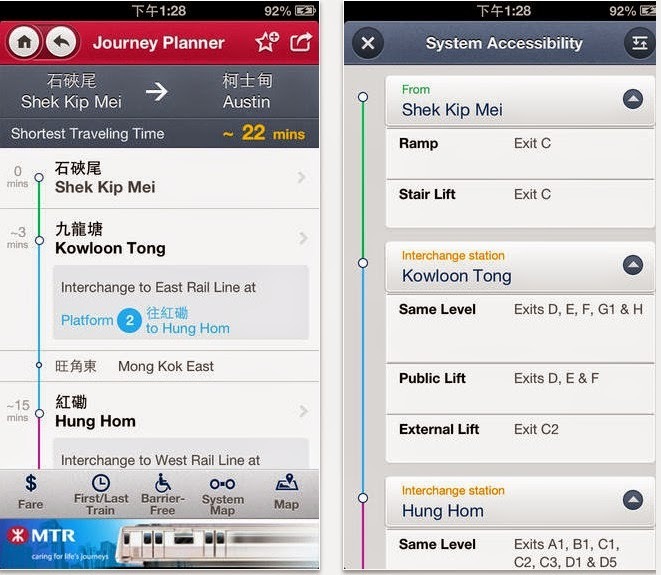 If you need help to map out your journey, download this app, it'd definitely come in handy! I am intending to bring with me SGD500 to spend. So that will make a SGD1000 5D4N trip for me. Of course I have no intention of major shopping and buying of luxuries. If I do get any of those they are probably gifts. So I am not including that expenses in. Another week to my adventure! Humble little me was invited by Vinnie Classroom to attend their new Ukulele Group Program in June 2014! 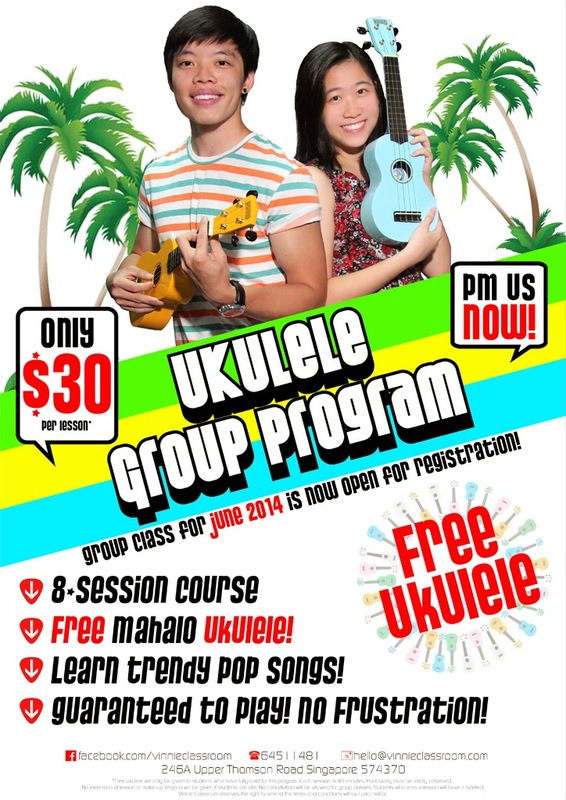 So what's this Ukulele Group Program about? 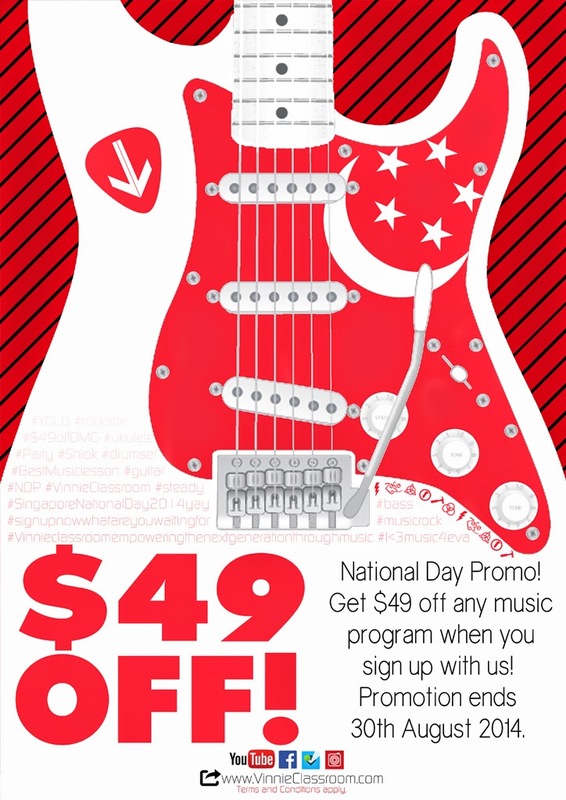 Just $240 and you get yourself a Ukulele and 8 sessions! There's only 4 students per class. (which means you get more 'attention' from the teacher!) You get a free Mahalo Ukulele too! 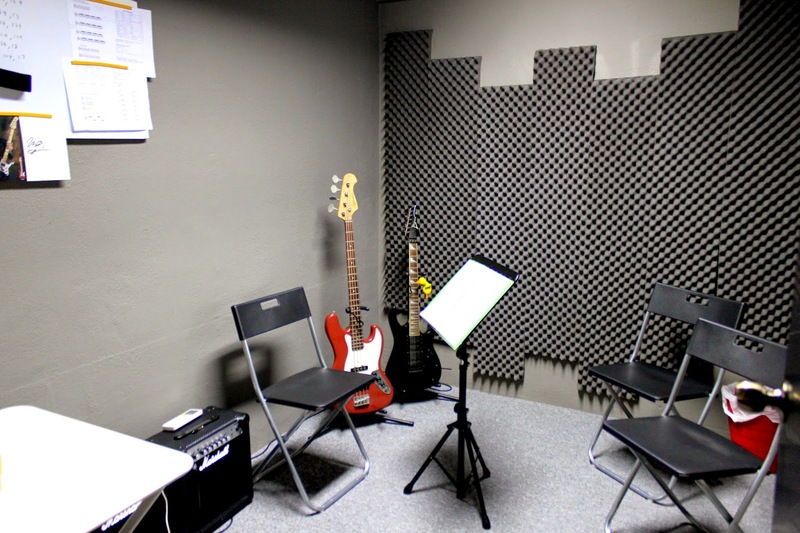 With just 4 days in a month, with 2 sessions of 45 minutes each, Vinnie Classroom guarantees that you'd be able to play! Lesson schedule goes like 8:00pm to 8:45pm and you take a 30 minutes break then resume at 9:15pm to 10:00pm! What's that 30 minutes for? For you to rest and practice on your own a little and not forgetting to get to know new friends. Research from experts discovered that human generally have 45 minutes of effective attention span. So why pay more for the extra 15 minutes that won't be productive? This helps us keeping our pricing low for you too! At the end of the day, the 15 minutes you saved could help you gain extra practice time at home instead! Be able to not just play but sing along simple nursery rhymes! Learn from simple to intermediate pop songs with various strumming patterns! Be introduced to songs in Hawaiian language with intermediate strumming! Advance song challenge to take your learning to a test! It's pretty sad that 8 lessons in 4 days just ended like that but well, all good things comes to an end. Missing your friends and want to continue on? Here's a promotion for you! Bring 3 more friends or just go with your current classmates (you probably are comfortable with the learning pace) and continue the class! How great is that?! If you ask me honestly I prefer having my own friends or strangers that share the same learning pace as me. Most of the time when you sign up for classes, you find yourself in this situation where someone in the class doesn't share the same music taste as you or picks up faster than you (which sometimes makes me feel like I'm retarded hahahahaha) So having a choice for you to form a class with your friends or it would even be better if you and your friends share the same interest in genre of songs! Then you'd never get bored of the songs that you are playing just because it's not 'your-kind-of-song'. Now that you’ve gotten interested in the course that’s being offered here, curious to know how your future school would be like? Here are some specially taken photographs by Vincent to show you around, virtually. My first reaction when I arrived at 'school' I was like... Whoa. This is pretty cozy. You've got to take off your shoes, it's really homely. Floors in the classrooms are carpeted while the main hall is wooden laminated flooring and the walls are painted in black and grey theme; it totally gives off this zen vibes. Having a cozy venue is definitely a plus point but of course their courses would be able to entice you more! 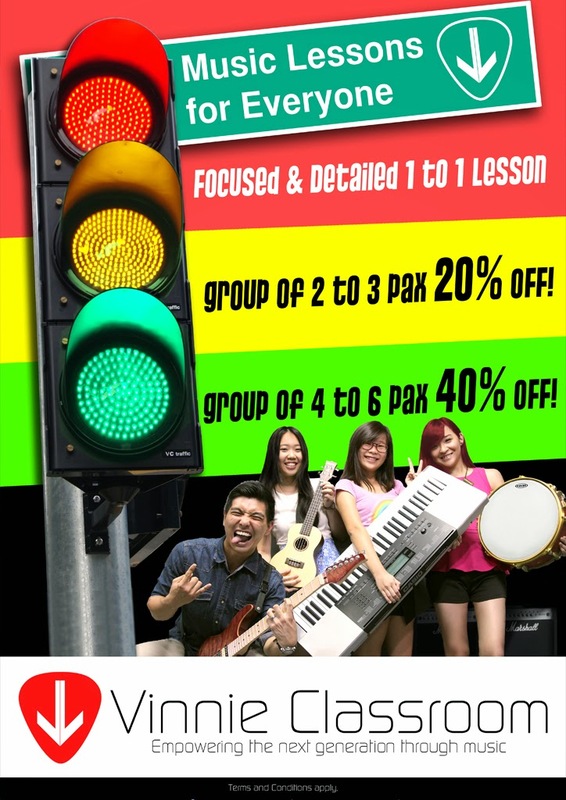 At Vinnieclassroom, they don't just offer Ukulele classes. 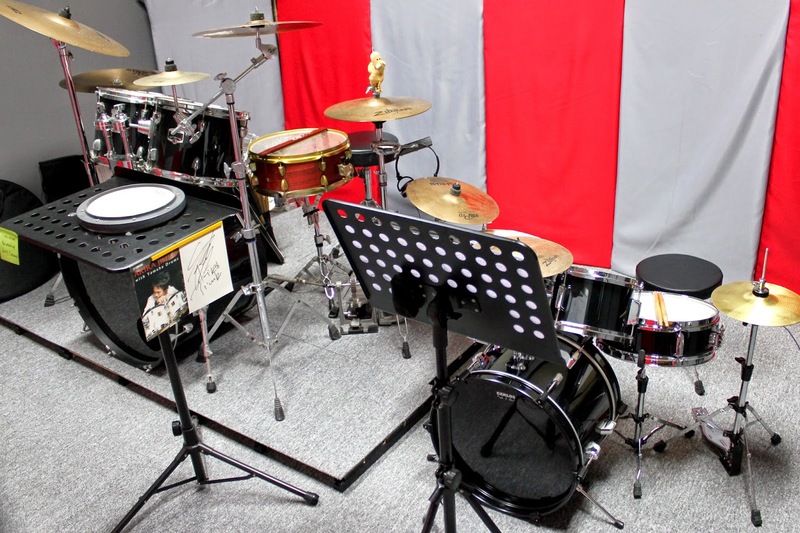 They have a range of musical instruments from electric guitar, acoustic guitar, drums, keyboards and classical piano. 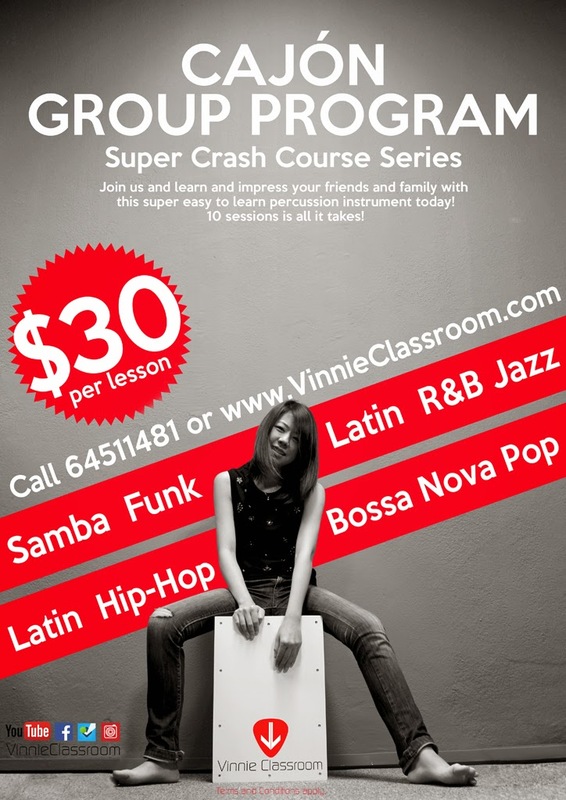 You can check out more about their courses by clicking on their website www.vinnieclassroom.com. Before I end this post, I just got to know that there's an exciting new programme brewing in process! How about.. some Cajon lessons for you? Check out this poster and watch their 'promotion' space for more updates!